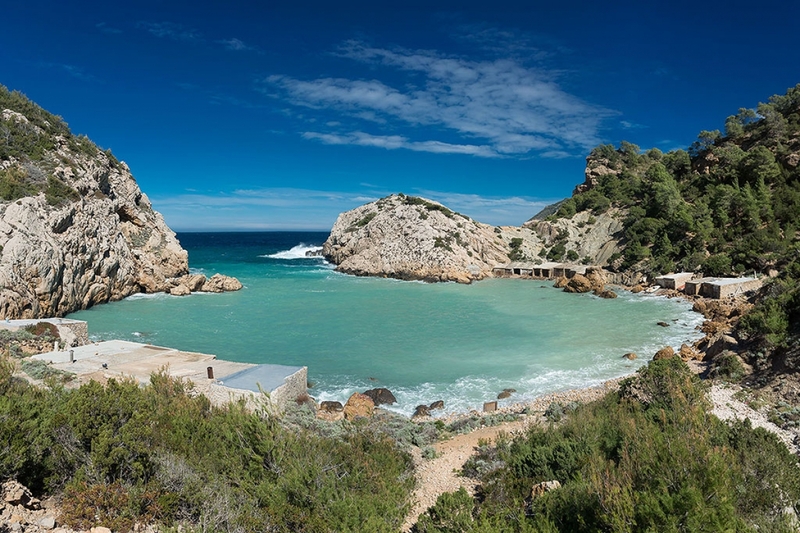 The northern route of Ibiza is secret and equally surprising. Be seduced by the charm of what does not appear in the guides. Enjoy the unknown in an unforgettable day. 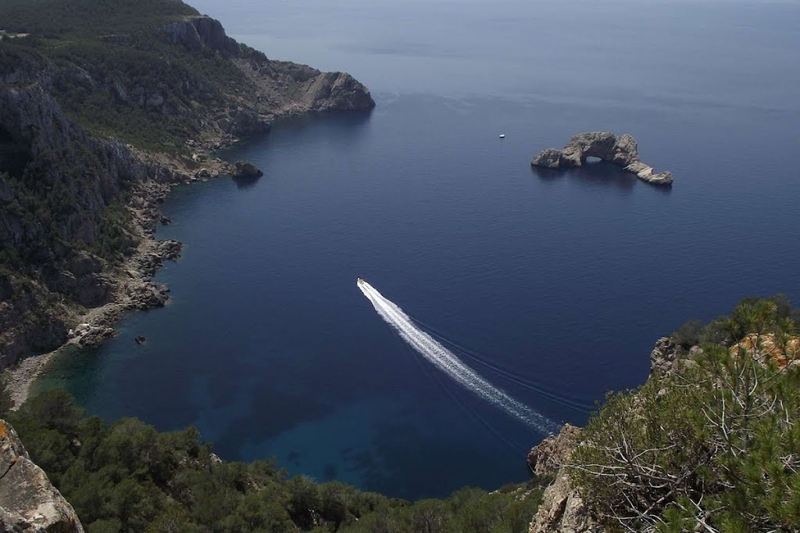 It’s an amazing place in Ibiza, as it is composed of natural stone cuts that turn into terraces. Its visual richness makes Punta Galera an ideal spot to enjoy the magical sunsets of the White island. It has its own ecosystem within its waters with countless marine species that invite you to snorkeling. Ses Balandres, known as The Gates of Heaven. 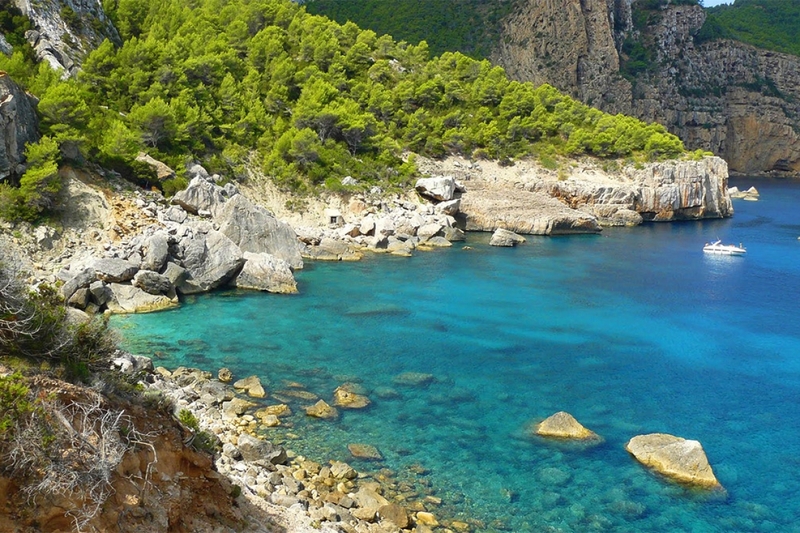 Its magnificent cliff full of green pines and Margalides Ses islets surrounded by clear waters make up a landscape suitable only for intrepid privileged to know the place. As if that were not enough, also it has a small cove that has the honor of being one of the most inaccessible places on the island. Rugged stretch of coast that holds a lot of caves, cliffs and islets. Its 200m bay reveal a stunning scenery where the green of pine trees contrasts with the blue water. 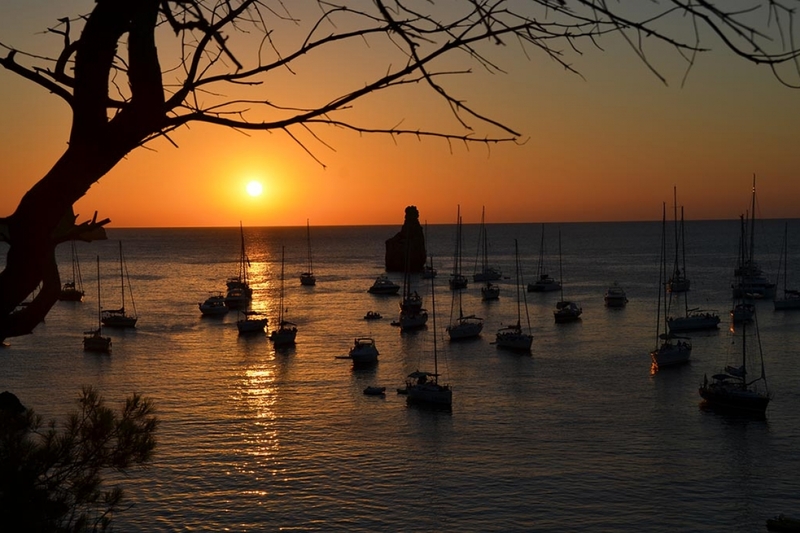 The only buildings that you see in Es Portitxol are the classic Ibiza fishermen huts. 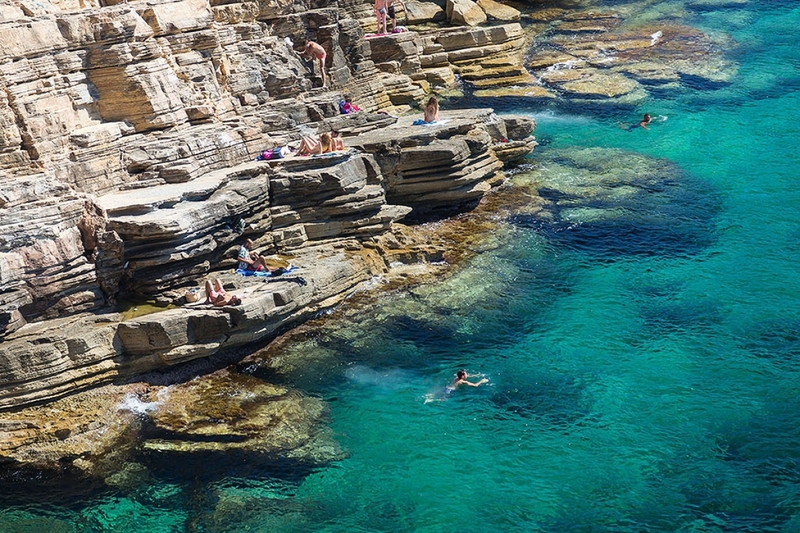 Easily accessible, clear waters leave nothing to the imagination. An exclusive spot for those who are seeking a unique thrill. The drums resonate on Sunday at Benirràs to end the day. 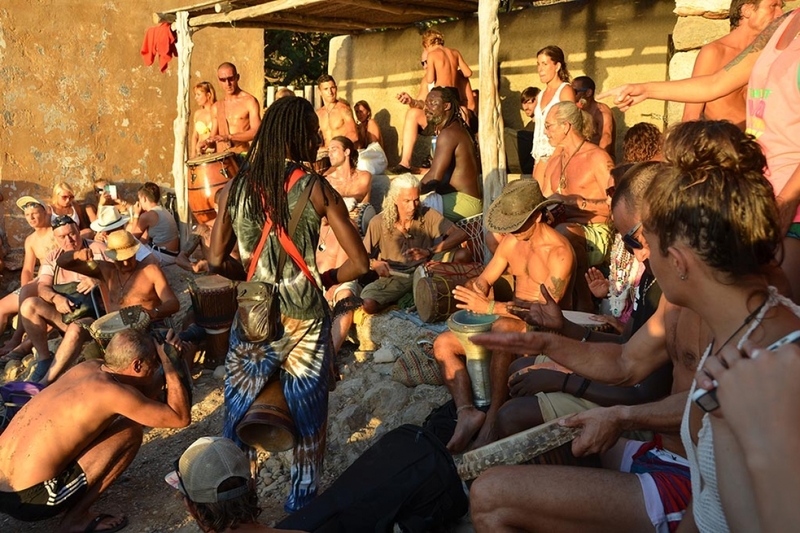 It’s a ritual of the island to enjoy at this magical and spiritual moment. The last rays of sun touch Cap Bernat before the timbales stop the excitement and the moon greet the beach.